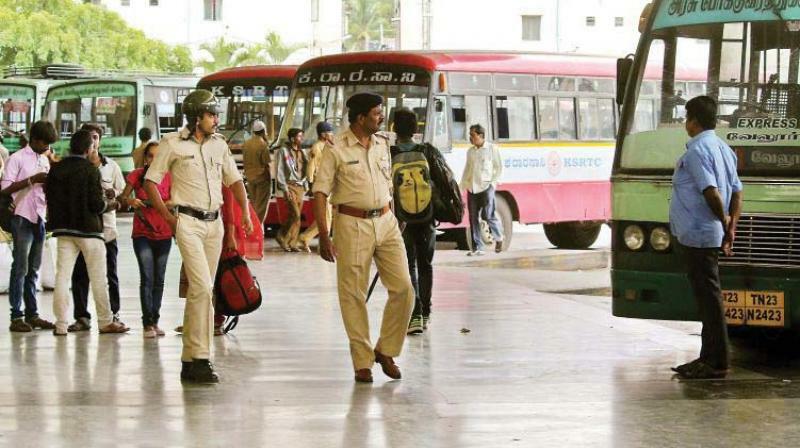 BMTC, KSRTC and other state run corporations to stay off road. Government and Private bus services will remain suspended on Monday. With the holiday declaration for the government and private schools and private companies asking their employees to work from home, Bharath Bandh in the city is expected to be total. Ananth Subbarao, president of AITUC said that "Employees of the state transport corporations have been given a call to stay away from duty in support of Bharat Bandh and to convey to Narendra Modi government to reduce fuel prices." Tanveer Pasha, President of the Ola, TaxiForSure and Uber Drivers' Association said that there will be no taxi services from 6 am to 6pm on Monday and added that a protest will be organised at Town Hall. CITU General Secretary Meenakshi Sundaram, who is also the president Auto Rickshaw Drivers Union, said that nearly 1.5 autos will stay away from roads in protest. However, Mr K Radhakrishna Holla, president of Bangalore Tourist Taxi Operators Association maintained that they appreciate the cause, but will not participate in the bandh. "Fuel price hike is badly affecting the transport industry. As the strike has been called at a very short notice, we can't take sudden decision without holding discussion with all associations. Similarly, we have to provide advance information to all our MNC vendors," he added. Malls in the city will remain shut during the bandh. Sources from the Karnataka Film Chambers maintained that they are morally supporting the bandh and maintained that all the cinema theatres and multiplexes across the state will restrain from running shows till 3 pm. However, shows will resume after the bandh time, the source maintained.